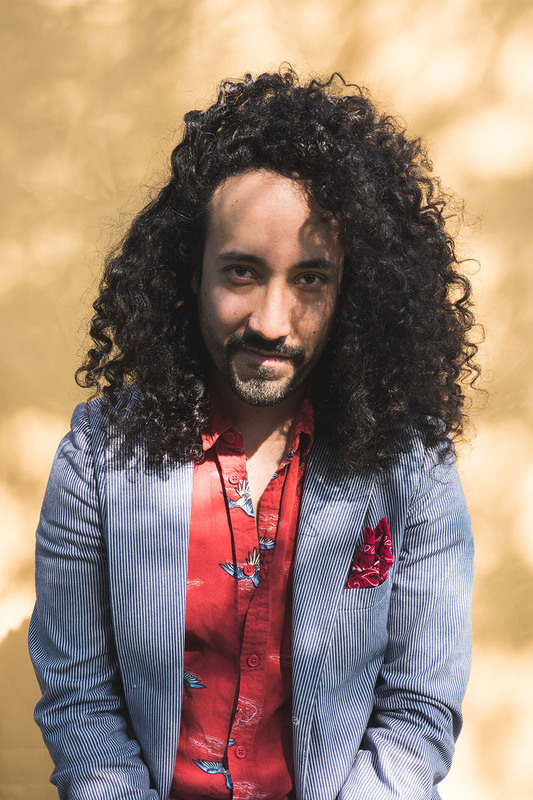 Bassist and CSUN alumnus Rodrigo Moreno ’14 (Jazz Studies) was one of 53 musicians and singers enrolled in the Deferred Action for Childhood Arrivals (DACA) program who played on the Grammy-winning 2018 album “American Dreamers (Voices of Hope, Music of Freedom),” Photo courtesy of Rodrigo Moreno. 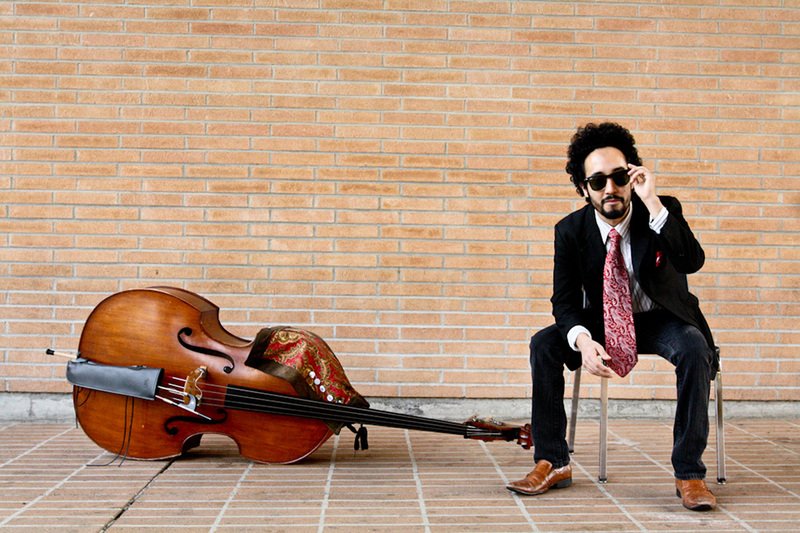 Bassist and CSUN alumnus Rodrigo Moreno ’14 (Jazz Studies). Photo courtesy of Rodrigo Moreno. Rodrigo Moreno never expected to be at the Grammy Awards, especially as a DACA Dreamer. Bassist and California State University, Northridge alumnus Moreno ’14 (Jazz Studies) was one of 53 musicians and singers enrolled in the Deferred Action for Childhood Arrivals (DACA) program who played on the 2018 album “American Dreamers (Voices of Hope, Music of Freedom),” with music written and composed by former CSUN jazz studies professor John Daversa. DACA was enacted in June 2016 to give young people who arrived undocumented in the United States before their 16th birthday a renewable, two-year period of deferred action from deportation. The album won three awards at the 61st Annual Grammy Awards on Feb. 10 for improvised jazz solo, large jazz ensemble and arrangement, instrumental or a cappella. Daversa is now the chair and associate professor of studio music and jazz at the Frost School of Music at University of Miami. ​He and his producers were inspired by those impacted by DACA, also known as Dreamers. They had seen countless reports in the news and wanted to use this project to raise awareness about the issue, the composer said. Previously, Daversa won two Grammys in 2017 for arrangement, instrumental or a cappella and large jazz ensemble. He taught in CSUN’s acclaimed Jazz Studies Program for two years. His Dreamers project began in Miami with 10 to 12 musicians for the first few sessions, and then expanded nationwide. Moreno joined the project in Los Angeles when he was contacted by a friend and connected with one of the producers. Daversa organized concerts, events and engagements in different cities. Whenever he went to a new city, he contacted the Dreamers organizations in that city to coordinate studio sessions with interested musicians. In the end, he visited and recorded in 17 states. The album features arrangements of songs as diverse as John Philip Sousa’s “The Stars and Stripes Forever” to the group’s own rendition of Led Zeppelin’s “Immigrant Song,” with new lyrics. The songs are interspersed with stories from the musicians, whose families came to the U.S. from 17 different countries. Daversa wrote the music in just six weeks and recorded the big band tracks in March 2018. Over the next couple of months, the production team added the Dreamers across the country. They wrapped recording by the end of May and released the album in September. Moreno had been freelancing and playing shows across LA since he graduated in 2014. Recently, he shifted his focus to his own band, Ruby Throated. Most Dreamers are first-generation college students from working-class families, so in many cases, scholarships are what make college possible. Moreno noted that he received a Department of Music scholarship as a junior transfer student, and a California state scholarship during his senior year. He received his DACA status after he graduated, Moreno said. His time at the university and determination led him to his musical accomplishments, the bassist said.